Early, between 6:15 and 6:30. I get the 5:45 train each morning, and I don’t even use an alarm clock! I look forward to each day and what needs to get accomplished. Very much so. I’m a utilitarian at heart and my job role has me involved in all sorts of tasks, from product development to marketing to business development and sales. Absolutely. Whether it’s talking to customers about their challenges and needs or creating marketing strategies, creativity is a massive part of my role. I’m also involved in the product development side of things where you have to be creative and future gaze; thinking up solutions to problems people don’t necessarily have yet. As I’m always on the road, the physical aspect of a workspace doesn’t matter to me. My desk is bland but I do personalize my devices – I have a Macbook Pro that goes everywhere with me and an iMac at home in my library. My desktop is virtualized in the cloud through services such as Dropbox. When people think of creativity, they think art or marketing related roles. I think you have to be creative in whatever you do in order to be successful or be the best at what you do. Some of the most creative people I know are business leaders and product developers. My daily rituals are fairly straightforward. When you’re sleeping, you’re wasting time. I get up and leave the house within 20 mins usually. I get a Starbucks and start working immediately, even on the way into the office! Both. I like to focus on problems you don’t have the answers to yourself, so I need a trusted and healthy team to have a good debate. 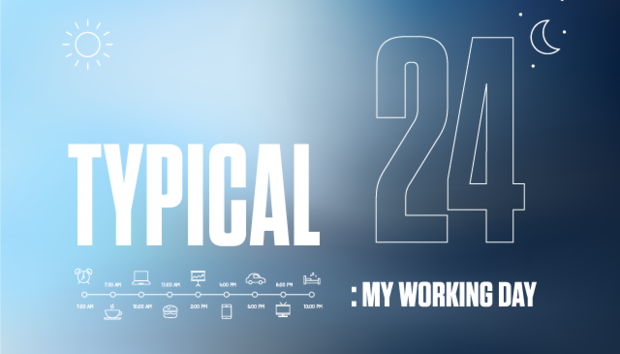 I try to leverage the best aspects of both individual and team based working. I get the 5:45 train in, and the 5:43 train out. For me I am non-stop between those times. I am still connected after work and tend to keep conversations going as needed. My entire working day. It’s all about the tools to get things done. Yes, very much so. I use social media to communicate about the industry, the company and to further develop relationships. Some of my most fruitful working relationships have begun on social media. The success that comes with helping customers be more successful. Giving people a piece of technology they really need. If you focus here, success will follow. Punk Rock. Pennywise, The Clash, Blink 182, Offspring and Green Day are among my favourites. Something fast and easy, accompanied by freshly squeezed vegetable juice. I do, it’s an important part of building a strong team. Nothing beats unplanned team building. I haven’t got rid of a tonne of tasks really. I’m a firm believer that if you don’t get down in the trenches from time to time, you become diluted. Spending time with my family. Good, honest and pure, with great conversation. I do. My emails are filtered so anything important sits right at the top. Sometimes. They follow me via the Cloud. Be mindful and remember everything you learn will be used in the future. An airline pilot, that would be an awesome job. CounterPath Bria on my Mac and Microsoft Word. Absolutely, all six of them.